This information answers the most common questions people have concerning collection services. If you have questions not answered in this handout, please call our department at 256-233-8747. Our customer service line is open from 8:00 a.m. to 4:30 p.m. Monday through Friday. 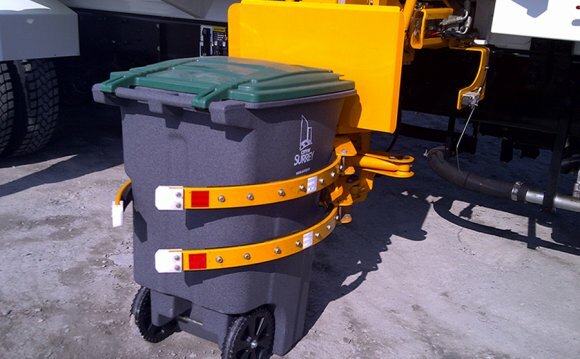 Can I use regular garbage cans if my cart is full? No. All garbage must fit into the City furnished container with the lid closed. Please refer to the list of recyclables. You may be able to recycle more to eliminate some of your garbage. A second residential garbage can be obtained from the Public Works Building at a set cost to be bill monthly as part of you sanitation fee. Will the City collect large household items? Yes, the City picks up furniture, appliances, and yard waste generated by the resident. We will not pick up anything generated by a contractor. Appliances must have the doors removed for the safety and protection of small children and the Freon must be professionally removed. Will the City collect yard waste? Yes, box or bag any grass clippings. Will the City collect limbs and other brush? Yes, the City collects limbs and brush generated at the residence by the resident. The amount picked up is limited to 4 cubic yards per week. This is approximately 12 feet long by 3 feet wide by 3 feet high (per 2009 Code of Ordinances, § 46-97(c)). Any work performed by a contractor, anyone paid or given material for work performed, will not be collected by the City. Where can I take waste that the City will not pickup? BFI operates a transfer station on US Highway 72 West. The facility's address is 16100 BFI LANE. Please call ahead 256-729-8505 to ask if they will accept the material that you need to dispose of. Directions to the BFI transfer station: Start at the intersection of Lucas Ferry Road and US Highway 72 West. Go westbound (away from Athens) on US Highway 72 a distance of 4 ¾ miles. Turn RIGHT on BFI Lane. Their facility is at the end of the road.